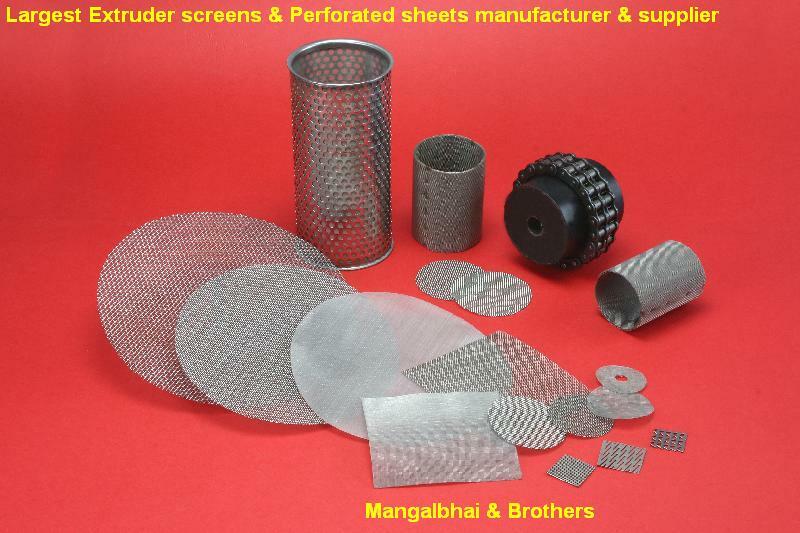 Mangalbhai & Brothers�are manufacturer, exporter & supplier of Extruder Screens�for plastic, rubber, chemical & pharmaceutical extrusion process machinery. Cylindrical Extruder Screen used in plastic & rubber lamination plants. The Company makes Extruder Screens, Wire Mesh�Screens, Circular Extruder Screens, Candle Extruder Screens,�S.S & G.I wire mesh, Multilayer Circular Extruder Screens, Wire Mesh�Disc Filters, Square Screens, Designed Extruder Screens, Perforated Metal Sheets, Gear Coupling, Chain Couplings, Flexible Shaft Couplings, HRC Couplings, Jaw Couplings, Hopper Magnets and Woolen Felt.